Lyn also can be found on Facebook, Twitter and Goodreads. Drop by and “friend or follow” her. Now living her dream of writing books at her lake cottage in northern Wisconsin, Lyn hopes her books show the power of divine as well as human love. 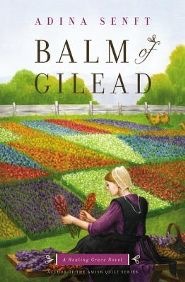 ADINA SENFT, author of the Amish Quilt series from FaithWords, earned an MFA in Writing Popular Fiction from Seton Hill University in Pennsylvania after leaving the plain church in which she grew up. Between books, she enjoys playing the piano and Celtic harp, making historical costumes, and spoiling her flock of rescue chickens. When a misguided suffragette hands a white feather of cowardice to an English spy, neither could have imagined the dangerous consequences that follow.A Florida girl who migrated to the Pacific Northwest, Kate Breslin was a bookseller for many years. She is the author of For Such a Time and lives with her husband in Seattle, Washington. Find her online at http://www.katebreslin.com. This is the second book in the Plain City Peace series. It is wonderful. There seems to be a bit of controversy in the Amish and Mennonite churches during this time period. I keep hoping that Betsies parents will come home or convince her to move. Betsie thinks she is in love with Charley or is she really in love with Michael? You will want to read The Bargain before reading this book so you know what is going on. I am looking forward to the next book to see how this all ends. I can’t wait. I received this book from book fun.org for a fair and honest opinion. 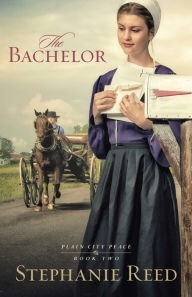 In this sequel to The Bargain, Betsie Troyer is back home in her Amish community where she knows she belongs, free from the confusing Englisher way of life. She and Charley Yoder have made promises to each other, and her life is back on track–until Gerald Sullivan shows up with his young daughter, asking for Betsie’s help. He’s on his way to find his estranged wife, and begs Betsie to take young Sheila in. 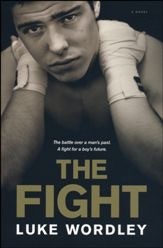 I am not sure exactly what I loved about this book but I loved it. The words just flowed smoothly. It was hard to understand Sam at first but you grow to really like him. I liked Jerry from the beginning. He made one mad a few times near the end but than made up for it. I received this book from book fun.org for a fair and honest opinion. This is a wonderfully written and illustrated children’s book about how a young lawnmower feels about his first time cutting grass. I received the ebook from book fun.org for a fair and honest opinion.